The Harbour Centre was opened in 1977 by special guest Neil Armstrong who left behind his footprint in the cement. This 28 story structure has offices, retail and the downtown campus of SFU. Perched above the office tower is a revolving restaurant and observation deck. It has a pair of glass elevators that ride up and down on the exterior of the building that takes people from the base to the lookout and restaurant. 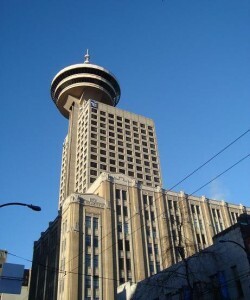 The Harbour Centre looks similar to Seattle’s Space Needle. 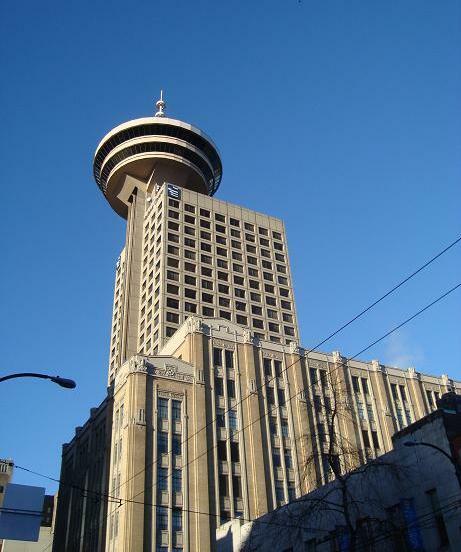 The flying saucer shaped top has distinguished it as one of Vancouver’s most recognizable landmarks. The Harbour Centre is appended to the 9 story Spencer heritage building. 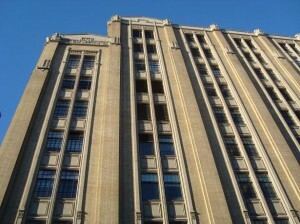 McCarter and Nairns designed the Spencer building in 1928 originally home of Spencer’s Department Store. 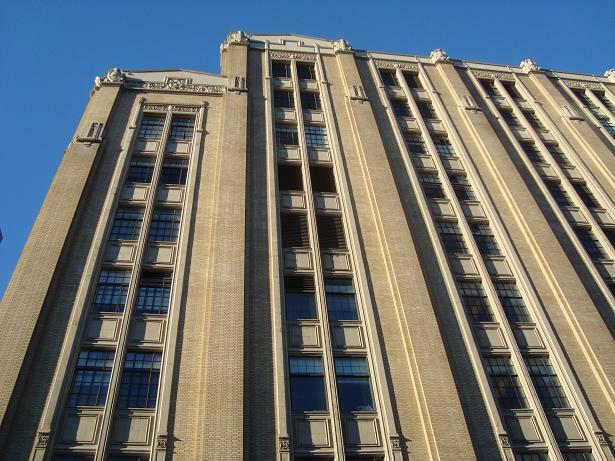 The soaring lines of this Art Deco design were a prelude to their Marine Building design.